Want Your Possessions Moved Right? You need a Moving Company in Chino. Our movers treat every customer separately, working with them throughout the consultation and eventual job to answer any questions they may have. With a process that is straightforward and transparent, you will know exactly what we are doing and be able to rely on our services at every step of the way. Please do not hesitate to contact us if you have any questions regarding our service. Working with its clients, the movers.the best company considers the specific features of each area and the city we work in. Sending our Chino movers to the houses of this area, we know: they do their best to help you relocating to another place safe and very fast. We know that most of the Chino population is involved in dairy farming agriculture of Southern California, working there hard physically. 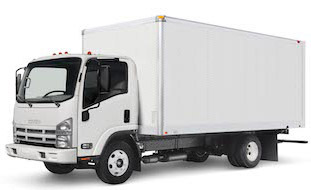 Thus, our movers take all the heavy and physical work, connected with packing and loading things, to themselves. If you have a large household, we send to you more people and two trucks. In case you live in a small studio and apartment, they come to you on one truck. Our Company is always ready to help young people of Chino to start their life separately from their parents. We know, that the city has an excellent community of students (average age of a person living in the area is 32). Our movers’ company never asks to overpay for the work of our guys: we respect clients. The team works fast and professional: we know – time is precious. The minimal payment is taken for the volume of work done within 3 hours, but we try to finish the move in this period. It is possible when we deal with an apartment or 1-2 bedroom houses move. In case your house is huge and includes garages and storages, we offer two trucks and more men: it will shorten the time of your relocation. Always plan everything before the day of your move. Take your time to make a list of your belongings. When you see the plan on the paper, it will be easy to decide if you need one or two trucks, two, three or four guys, who load the vehicles. Fill in the Quote online: it also gives us a good prompt about the volume of the work. In any case, come to the company office: there you will learn about the service of the company in details, hear about the volume of moving work which we will provide you and sign the contract with the company. Some clients wish to get acquainted with movers in advance. It is also possible. We offer different types of insurance. Always use our professional moving service! Our movers recommend you to pack all your belongings in advance: it shortens the time of your move. Experienced moving movers give you: use transparent boxes when you pack things, especially if it is small items. In this case, it is easy to find certain objects, when you unpack your belongings. Another prompt: keep documents and important papers with yourself in a separate bag. Before the moving day, place all your valuables (the small ones) into the bank deposit box. Keep your credit cards with you, but have some cash as well. Chino movers recommend those clients, who have pets, to take care of them before the move. It will be nice if your friend looks after your dog or a cat. However, we remind you: Chino city has professional inexpensive pet sitting services. If you are moving inside the Chino city area and have small kids with you, a babysitter can also help. Another moving tip is to keep the keys from your old house and the new one with you.